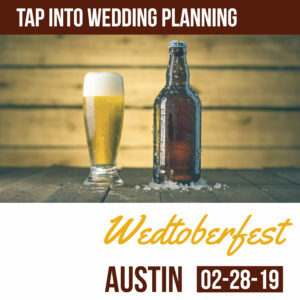 Thank you for participating in Wedtoberfest Austin’s first annual event! With over 30 vendors and breweries, we expect this show to be fantastic. This vendor packet should answer any questions you may have regarding your participation. Bookmark this page or copy and print. But first, read it thoroughly. Thursday, February 28th – Set up begins at 2pm. ALL vendors MUST be set up no later than 5pm. If you don’t recall, please check your PayPal invoice to confirm what size table/space you paid for. The 36” round tables are 36” in diameter and 30” in height. Your space will include the 36” round table and enough room to stand around or in front of your table. NO table coverings/linens are included. The 6’ tables are 6’ long, 30” wide and 30” in height. You will have room to stand behind or in front of your table. NO table coverings/linens are included. 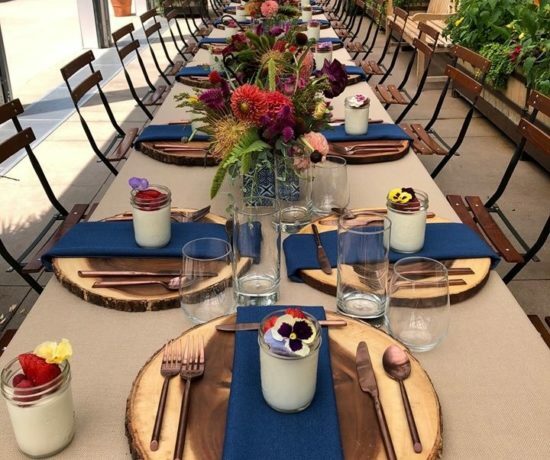 Caterers will receive two 8′ tables. Please note, these tables are intended for your display and not as a prep station. There will be a shared prep kitchen on the first floor, available for the caterers involved in the show. Linens ARE included, IF requested. Food Trucks, Photo Booth, and Open Space vendors will receive a wide-open space. Food trucks will be given enough space for their truck. Photo booths will be given an approximate 8’ by 8’ space for their booth and electricity. 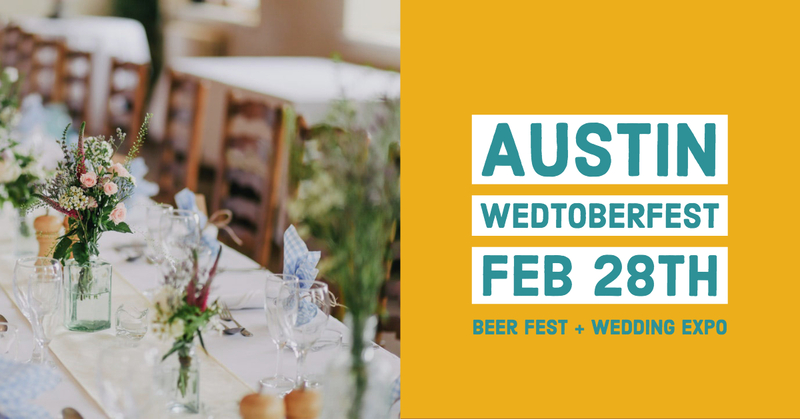 Open Spaces for specific vendor types will receive a 8′ by 8′ space, unless otherwise discussed with the Wedtoberfest team. Please note, there are NO TABLES included with this space. For sponsors, caterers, and breweries ONLY: If you opted for linens, those will be placed at your table. All linens provided will be floor length, IVORY basic cotton linens. For those who indicated on your application that you do NOT need a linen, you are required to supply your own. You are encouraged to make the space represent your brand. In fitting with the style of this event, large displays and backdrops are not encouraged. Guests will appreciate the intimate nature of this event and enjoy the opportunity to chat one-on-one with you. Business cards, handouts, marketing material etc. 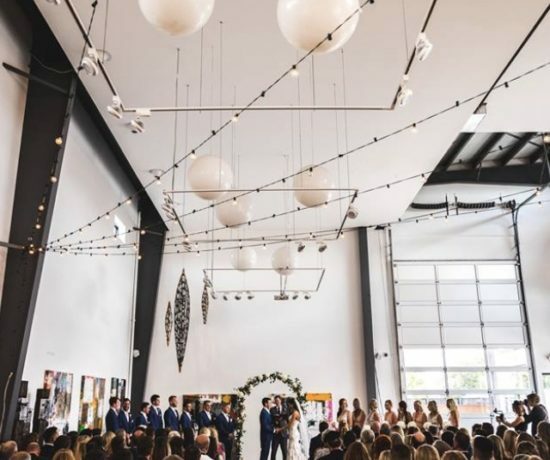 If you are looking for ways to optimize your space or display ideas, we have created a Pinterest page with examples from previous Wedtoberfest events and more! Click HERE for inspiration. Please Note: You are NOT allowed to suspend anything from the ceiling or walls. NO confetti, rice, glitter, or sparklers allowed. As a reminder, at this time this show does not allow for the selling of any items. No vendor should plan on selling products at this event. Additionally, vendors cannot share a space with other businesses. Any vendor doing so, will have to remove any non-authorized business’s marketing materials/signage/etc from the event. When you arrive at the venue your table will be set up for you. Upon check in, we will direct you to your space and provide you with your vendor badges. Load in is Thursday, February 28th at 2pm. All vendors must be set up completely by 5pm, NO EXCEPTIONS. You will load in through the front or side entrance of 800 Congress accessed via the 8th Street permit lane. If you require a cart for loading in, please bring your own. Please unload your items quickly and then move your car to park prior to setting up your space. You MUST NOT stay in the loading zone for more than 10 minutes. 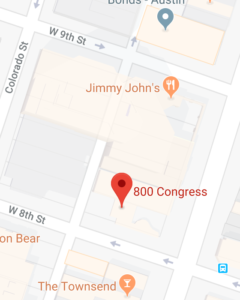 There is street parking available and the nearest parking garage is at 816 Colorado. Electricity is limited. Those who have requested electricity access in their application have been located near outlets. You MUST bring power strips, extension cords and gaffer’s tape or electric tape (to secure any loose cords). Caterers, photo booth vendors, and food trucks will be guaranteed electricity. The venue does have WiFi, but please do not rely on it. We cannot be held liable if your access is slow or unreliable. 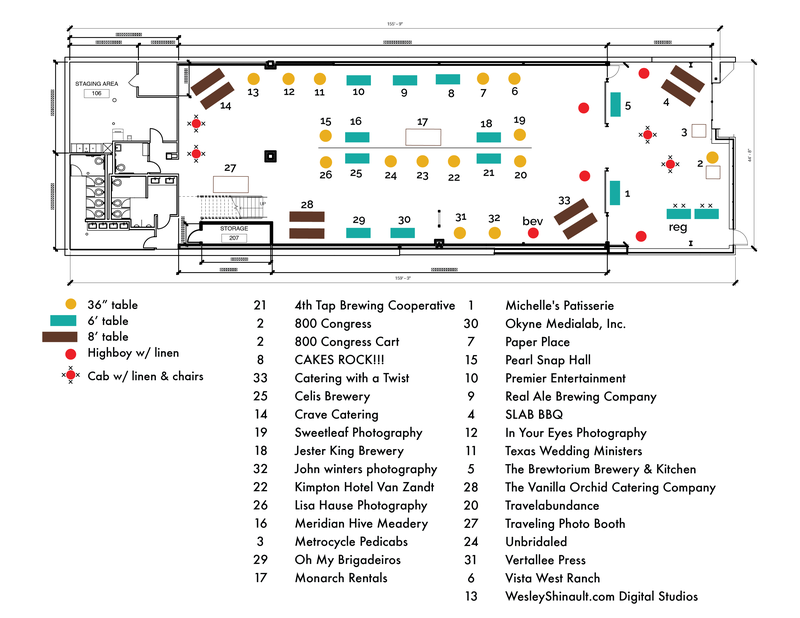 You can find your location below (right click to enlarge view) or by downloading a copy of the floor plan. Please note that if any changes need to be made, you will be notified ASAP. Please begin breaking down your space immediately at event’s end (9pm), BUT NOT BEFORE. Pack up your space, then bring your car around to load out through the loading zone. Please make sure you clean up after yourself and remove all your garbage. The space should be left how you found it. Any vendor who leaves a mess will not be allowed to participate in future events. Load out should be completed by 10pm. Vendors will receive two (2) badges/name tags during set up that will allow you to come and go from the building during show hours and to identify you to Wedtoberfest staff as exhibitors. If your business requires more than two workers (such as a caterer or musical group), please email us first before filling out the form and we will look at each request individually. Please note, all workers should be over 21 years old. Submit badges HERE by Wednesday, February 20th. 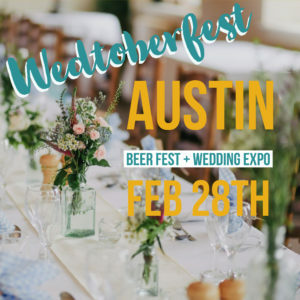 In order to participate in the event you must fill out the Wedtoberfest Agreement and Waiver of Liability by Wednesday, February 20th. This waiver can be found HERE. *For those vendors providing food or drink, a Certificate of Insurance is required. This Certificate must name 800 Congress/Parkside Projects as insured. You must also name Generosity.org, Wedtoberfest and Naturally Yours Events Inc. as additional insured for the day of the event. Please email them to hello@wedtoberfest.com by Wednesday, February 20th. 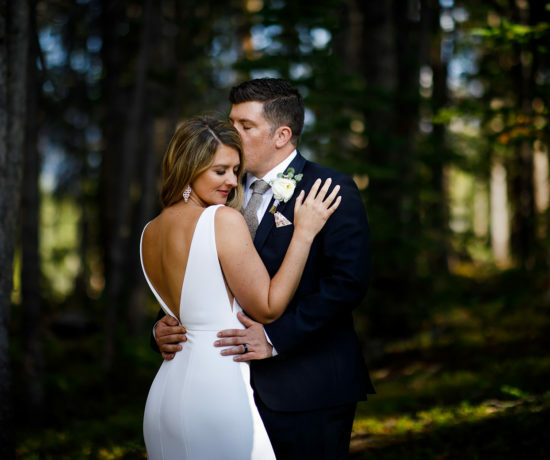 Vendors are encouraged to hand out special rate tickets to engaged couples. You can give them to current clients as a fun date night, potential clients that you’re trying to woo or reach out to past clients and invite their engaged friends! Host giveaways on your social media or send an email blast to promote your brand and participation in Wedtoberfest. A Special Rate ticket is for Single General Admission (not couple or VIP tickets), costs $10 and is good for one individual. If a couple wants Special Rate tickets, they would purchase two (2) for $10 each. Note: This event is for people ages 21 and up. Each vendor will be emailed an unique Eventbrite code. Your Eventbrite code is good for ten (10) individual Special Rate tickets. 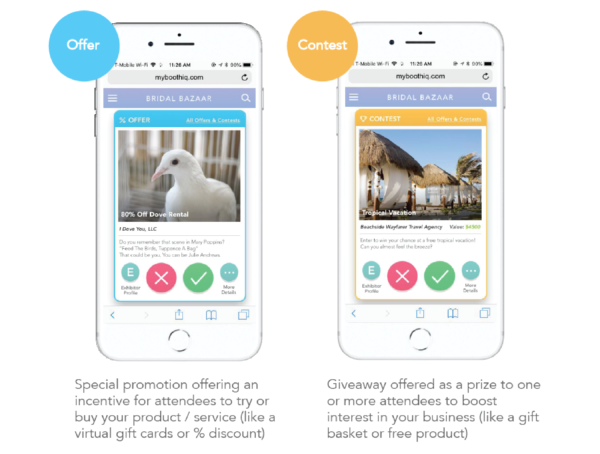 You distribute your code to engaged couples/potential attendees. Attendees will be able to purchase Special Rate tickets through Eventbrite by entering your code during checkout. If you have more than ten people who would like to join us- please encourage them to buy full priced tickets HERE. 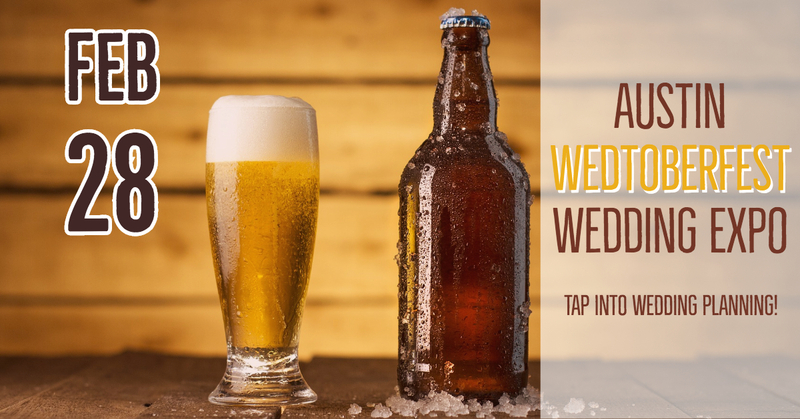 Wedtoberfest is organized to raise funds for one of the most essential human needs: WATER. 100% of ticket sales benefit Generosity.org and their initiative to end the global water crisis! BoothIQ is a web-based app that helps vendors and attendees connect with one another in a fun and natural way. Wedtoberfest vendors will be able to list promotions, contests and special offers to attendees via the BoothIQ mobile platform. 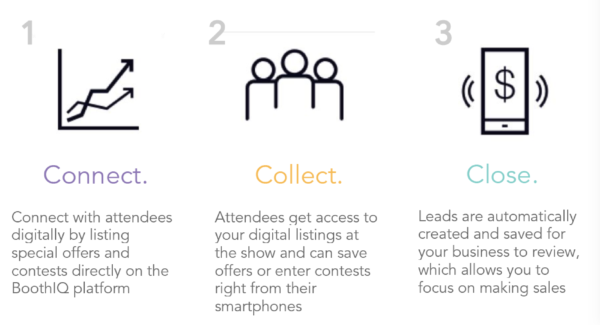 Attendees can save their favorite vendors and special offers direct on their phones- making it easier to connect with vendors after the show. This is way more effective than any mass-marketed lead list would ever be! The BoothIQ team will be reaching out to you directly to assist with setting up your listing and will be your resource for this platform. Banners and badges can be found at the bottom of the page. Save them to your desktop and put them on your website, blog, Facebook, and other social media pages, etc. Help us spread the word! Also, we have A TON of postcards and posters that need to be distributed throughout the city. We mailed each vendor a packet of these printed materials- please keep some at your place of business to hand out to prospective clients and PLEASE distribute some at local establishments in your neighborhood. Some great spots to hit up are bars and restaurants, coffee houses, trendy shops, and fitness clubs. We’d love if you could share a couple postcards and one poster to 3-4 businesses in your neighborhood 🙂 THANKS! Use #wedtoberfest on social media. Please tag @wedtoberfest (facebook, twitter, instagram) in your posts. Right click on any image to save/download. © 2018 - Wedtoberfest. All Rights Reserved.